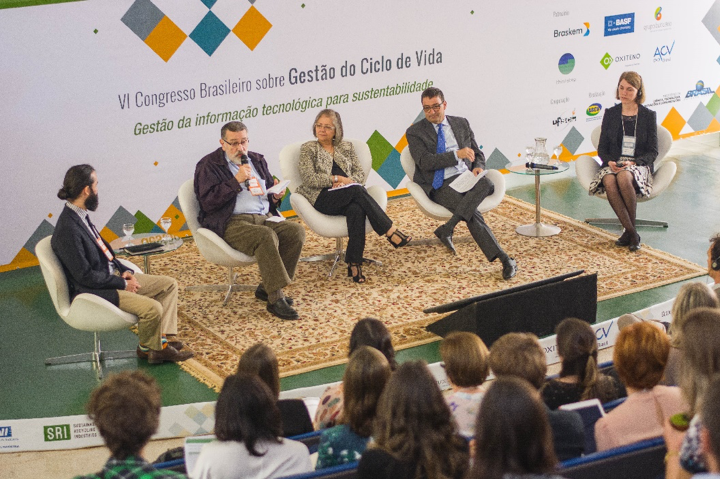 June 17–20, 2018 • Brasilia, Brazil: The 6th edition of the Brazilian Conference on Life Cycle Management was held from June 17 to 20, 2018, in Brasília, organized by the Brazilian Institute of Science and Technology Information (IBICT) and the Brazilian Life Cycle Association (ABCV), with cooperation from the Federal University of São Carlos (UFSCar). GCV 2018 central theme was: “Management of Technological Information for Sustainability”. GCV2018 addressed themes such as Database and Public Data in LCA, LCA and Public Policies, Life Cycle Management and Industry 4.0, LCA in Brazilian Industry, and some Emerging Topics such as Social LCA and Circular Economy. The conference was intended to broaden the understanding of how information can contribute to more sustainable development paths, combining environmental competitiveness and transparency of information. All themes are currently prominent in the international academy, and companies have increasingly sought to know and identify opportunities in this environment. For this reason, the GCV2018 brought national and international experts, as well as the submission of articles framed in these subjects. The GCV2018 numbers give the importance of this edition. 251 papers were submitted, which underwent a rigorous review process and resulted in 85 oral presentations and 152 posters. Accepted papers were distributed as follows: 40% were LCA Case Studies, followed by Methods and Models of Life Cycle Impact Assessment (LCIA) with 16%, Life Cycle Inventory (LCI) and Databases reached 10%, 8% were Special Topics, 7% were articles on LCA and Public Policy, 6% Circular Economy, 5% Life Cycle Management in Organizations, 4% Environmental Communication and Labeling, 4% Social and up to 1% Ecodesign and Life Cycle Costing (LCC) appeared. In addition to national articles, 10% of them have foreign origin (Argentina, Belgium, Canada, Cuba, Chile, Colombia, Denmark, Mexico, Portugal, Switzerland), which shows that the GCV has become a congress of interest also for the international community. The various plenary discussions and the different studies presented in the conference will contribute to the upcoming conferences being able to deepen even further in the theme of Life Cycle Management, so fundamental for us to have a prepared society to live with the environment in a harmonious way.